2012. Four digits that have become synonymous with sport. Since the host city of the 30th Olympiad was announced almost seven years ago, those four digits have come with a prefix: London 2012. 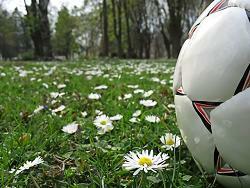 And now, as winter turns into spring, a summer-long festival of sport draws ever closer. The Olympics are the main event - they are called 'The Greatest Show on Earth' after all - but there is also the small matter of Euro 2012 to look forward to, with England and the Republic of Ireland taking centre stage. Add to the mix the Paralympics, two home test cricket series, Wimbledon, the Open Golf Championships and all of the usual summer favourites and you can tell why many people are getting excited already. But 2012 is not just a big year for elite sport. Last month the government announced a £1bn five-year strategy to get more young people playing sport at grassroots level, including plans for 2,000 football clubs moving into local secondary schools. The strategy was launched amid criticism that an initial legacy promise of the 2012 Games - to get one million more people playing sport - had been dropped. But while politicians play the blame game for who is at fault, away from the Olympics grassroots football is quietly building its own legacy. This year will see one national football centre open in the UK, while plans are laid out for building to commence on a second one. 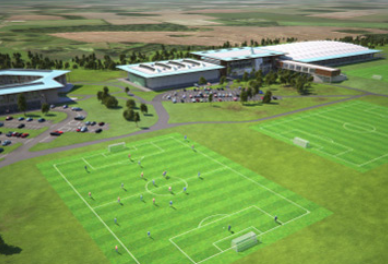 Just last week, Scottish Sports Minister Shona Robison announced plans for a new National Sports Centre which will include Scotland's first ever national football academy. A steering group chaired by Scottish FA Chairman Stewart Regan will kick off the planning process next month, with the centre expected to be ready for 2016. While Scotland kick off their plans, the English FA will see theirs finally come to fruition in 2012 with the long-awaited opening of St George's Park scheduled for August. The 330-acre site in Burton-upon-Trent will host all 24 England national teams in state-of-the-art facilities. But, more importantly for the grassroots game, it will also act as the FA's coach education and development centre, with thousands of coaching courses set to produce 250,000 new coaches by 2018. The FA aims to increase coaching opportunities, helping more coaches to see their work as a potential occupation rather than just a vocation. By raising coaching standards throughout English football, St George's Park is integral to this vision. More and better coaches equals better players in the long run, which is why the centre is so eagerly awaited and why St George's Park Chairman, David Sheepshanks, is "looking forward to a special 2012." The bricks and mortar of St George's Park will mark a significant landmark for the FA and will certainly grab the headlines, but an equally significant, albeit less tangible, development for English grassroots football is also set to take place in 2012. In April the FA Council and National Game Board will vote on a series of proposals on the future of youth football in England. 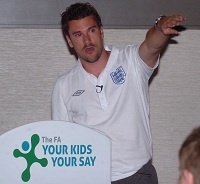 The recommendations, compiled by FA National Development Manager for Youth Football Nick Levett (below) and his team following an extensive consultation period, include a new player pathway for children - featuring a new 9v9 format for under 11s and under 12s - and a new 'child-centred' approach to competion that would see traditional league tables scrapped for all children of primary school age. If ratified by the FA board, the changes will be phased in from the beginning of the 2013/14 season, although leagues can choose to adopt the changes for the 2012/13 season if they wish to. The changes are designed to increase enjoyment of football for the 99 percent of kids who will only ever play the game at grassroots level, leading to less dropout from the game. But, with small-sided games on appropriate-sized pitches likely to mean more touches of the ball for all young players, the FA will hope that there will also be a long term knock-on effect on player development. The impact of the proposals remain to be seen but, provided there are no unexpected problems at board level, 2012 should mark the start of the biggest shake-up of grassroots football in England since the introduction of mini-soccer over a decade ago. A significant change to the structure of Scottish football could also be on the cards, after the SFA announced plans for a feasibility study into changes to the fixture calendar. Despite a relatively mild winter compared to last year, all levels of the Scottish game have suffered cancellations over the winter, with even some Scottish Premier League managers calling for a switch to a summer-based season. Grassroots football has been more badly affected, with most clubs not afforded the luxury of groundsmen or under-soil heating. Whilst the changes would be difficult to implement for the professional game, the men's amateur game could more easily follow Scottish youth and women's football in a move to a summer season. Campbell Ogilvie, President of the SFA, said: "I understand there are many reasons for and against any changes such as a move towards summer football, an earlier start to the season or a winter break. But it is important we understand fully the current situation and the possible benefits of a realignment." 2012 marks the beginning of a new era for Welsh football, following the sad death of national team manager Gary Speed in November. Under Speed, Wales leapt further up the FIFA rankings than any other nation in 2011, climbing from 113th to 48th place. They are currently in 42nd spot, their highest position for 17 years. The former manager and one of Wales' all-time great players will be remembered tonight as Wales take on Costa Rica in front of a sell-out crowd at the Cardiff City Stadium. New Wales manager Chris Coleman has stated that he does not see the game as his first in charge, preferring to divert the attention onto the celebration of Speed's life. Coleman's time with the players may have been limited since taking the job, but he has been busy touring the country on a Q&A tour of local clubs in an opportunity to connect with the grassroots game. The new boss will be hoping to capture the optimism in Welsh football generated by his predecessor and continue to progress the game in the principality. Meanwhile, at grassroots level, coaches across Wales can get a taste of FC Barcelona, in a series of coaching conferences to be held this spring. The Welsh Football Trust is holding a grassroots coaching conference in each of their six regions between Sunday 25 March and Sunday 29 April. The conferences, based on one of two themes - 'Tici Taca - Playing the Barcelona Way' and 'Supporting Players to Improve' - and each featuring a guest speaker, will support the continual professional development of Welsh coaches, described by WFT technical director Osian Roberts as "the heartbeat of the game”. While the Olympic Games capture the attention of sports fans around the world this summer, our grassroots football community can look closer to home for reasons why this is a year that matters. 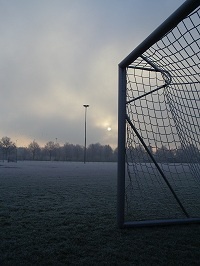 2012 is a big year for sport in the UK and grassroots football is no exception.